The Kuvings C7000S Whole Slow juicer is a unique and quality masticating juicer. It is a distinctive improved upgrade of Kuvings B6000 Model. 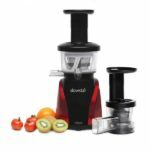 The Kuvings C7000S juicer is a vertical (upright) masticating juicer that is slow in juicing fruits and vegetables but produces a fresh and testy juice out of your fruits. This is because of it slow rotation that spins so slowly and the high oxidation to fruits and vegetables. Is very high in performance and it has 240 watt motor rotator, 60 RPM, 3Horse power with a 3 inches chute size that can accommodate large vegetables, fruits, Nuts and hard food items. It is built with a strong and reliable plastic (BPA FREE) that can’t be easily cracked by food items. Kuvings C7000S Whole slow juicer has a dual stage extraction of food items. The Kuvings C7000S whole slow juicer crashes food items that are placed into it, allowing travel down the auger for the second procession. 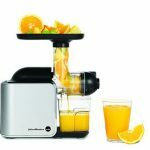 Secondly, it uses strong juicing screen to ensure that every drop of juice in the fruits or vegetable is totally squeezed out. The Kuvings C7000S has a blank strainer which makes it possible for it to make frozen dessert (frozen fruit sorbet). 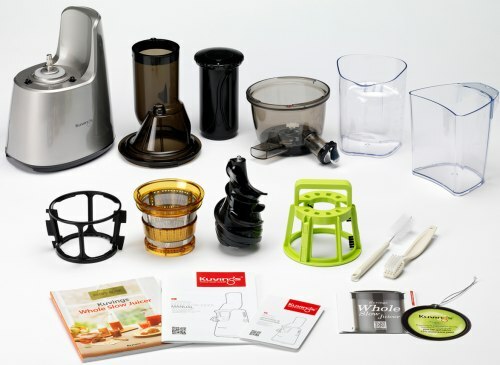 This awesome masticating juicer is very easy to assemble and dissemble because the parts are not complicated. 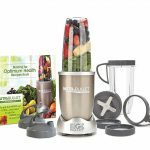 Maintaining and clean this masticating juicer is very easy and can be done immediately after juicing without any stress. Another beautiful thing about the Kuvings C7000S whole slow juicer Elite is that it comes in three (3) different colors; which are RED, GOLD and SILVER. So you can make your choice of color that perfectly suits your test and enjoy juicing. The Kuvings C7000S is a very high quality juicer that can handle juicing of food items that some other masticating juicers can’t. 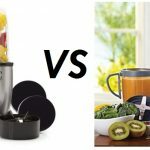 Juicing with the Kuvings C7000S Whole Slow juicer yields a high amount of juice from fruits and vegetables and juice produced from this awesome masticating juicer can stay for 72 hours without going bad because this juicer does not damage the vitamins and minerals contents of the fruits and vegetables. It can be use in juicing soft food items like vegetables. It can be use in juicing citrus fruits such as oranges and other fruits like bananas, mangos, Apples, etc. It can be use in juicing Nuts such as Almond nuts, groundnuts, etc. It can also be use in juicing different kinds of Beans. 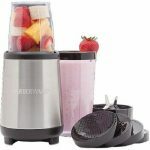 POUND: The Kuvings C7000S Whole Slow juicer weighs 13.9 pound which is approximately 6.3 kilograms. HEIGHT: The Kuvings C7000S Whole Slow juicer is 17.5 inches height (vertical view) which are approximately 44.5cm. WIDE: The Kuvings C7000S Whole Slow juicer is 9 inches wide which is approximately 22.9cm. WATT: The Kuvings C7000S Whole Slow juicer has 240 watt motor rotator. RPM: The Kuvings C7000S Whole Slow juicer has 60 RPM. HP: The Kuvings C7000S Whole Slow juicer has 3 Horse Power. 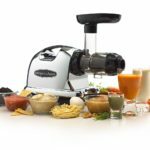 The Kuvings C7000S Whole Slow juicer is very easy to assemble and dissemble with the help of the manual which it comes with, it will be easier for a new user to assemble and dissemble it at any giving time. Below are the parts of the The Kuvings C7000S Whole Slow juicer. MOTOR BASE: This is the heart of the juicing machine. FEEDING TUDE: This is where food items pass through for juicing is also called the Drum lid. FOOD PUSH: The work of this part is to help you push down the fruits or vegetables into the juicer. JUICE BOWL: Once the machine is juicing your food items, the separate juice from the pulp goes into the juice bowl before entering the juice container. It has two outlets which are the juice outlet and the pulp outlet. JUICE CONTAINER: This container is place right at the open tip of the juicing bowl and once the juice bowl outlet is opened, juice drip right from it into the juice container. PULP CONTAINER: This container is placed right at the juice bowl pulp outlet. It allows the pulp from the food items to be deposited in it. 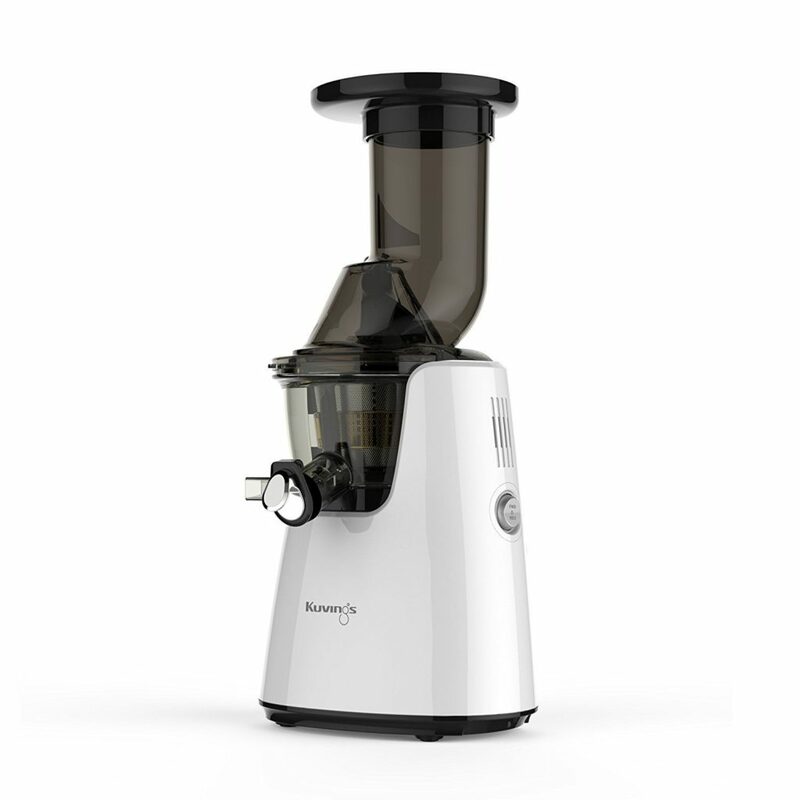 Once you are done juicing all your food items, you can then switch off your Kuvings C7000S Whole Slow juicer. To clean, carefully dissemble the whole parts. Then clean them with a clean dry towel and allow to air dry. STEP 2: With a clean dry towel, clean the motor base to avoid water entering into the motor base of your juicer. Is a silent masticating juicer. 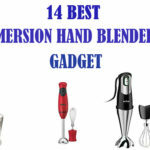 It can be used to juice different kinds of food items. It gives a very high yield of juice. It has an upgrade juicing bowl and screw. Juice produced with it can stay for 72 hours and the nutrients and vitamins will not be damaged. There are no significant disadvantages recorded about the Kuvings C7000S. 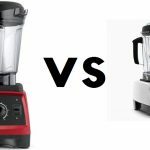 Below are just manor disadvantages about this juicer. 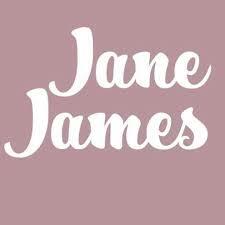 Is slower than other centrifugal juicers. Is expensive than other centrifugal juicers. Is handles and needs carefulness when carrying it. 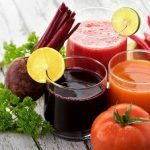 Fruit Juice: Good for You or Bad for You?